In the Valley of the Sun, Arizona, there are many gyms and gym coaches to choose from. At first I was overwhelmed with the options and had no idea where to start. At a motivational work event, the speaker had us visualize a scene. I used this tactic to visualize what I would be looking like, feeling like and behaving like in the future. Then I created my future coach in my mind. The coach would be a female. She would have won a swim suite show recently (at the time I did not know that there are categories like bikini, figure, fitness, and bodybuilding). She would be of similar height and age as myself. I choose this configuration because I thought it would be smart to have a gym coach that has completed what I choose to do. 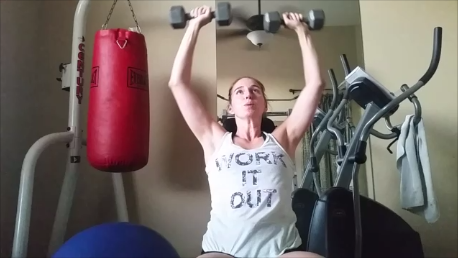 Trait #1 – Female Fitness Trainer – I did not think this would be hard. I was wrong. I visited 4 gyms before I found one that even had a female trainer. Most of the gyms only had male trainers. Trait #2 – Female Coach Who has Won a Fitness Contest – As I visited different gyms of all sizes, they would have a male coach that has competed in fitness contest but no female coaches that had even competed in a contest. One gym, told me that females that have won fitness contests trained there but were not trainers. Trait #3 & 4– Female Fitness Coach With Similar Height and Age – I got lucky with this one. Most gyms did not pass the first two traits. So when I found a gym that did pass the test, I was excited to meet the recommended trainer. She was similar height and similar age. I was lucky because she was also nice and goal orientated. that she is tough and does not let me get away with lazy lifts. The lifting challenges that I face daily have improved my self-esteem and my body strength. I am looking forward to future self improvements. My visualization of myself keeps improving.